Modern and Stylish. Free shipping anywhere in Australia. Usually processed within 24 hours of payment clearance and delivered via Australia Post. Iron Duke spanners are manufactured to ANSI specifications. 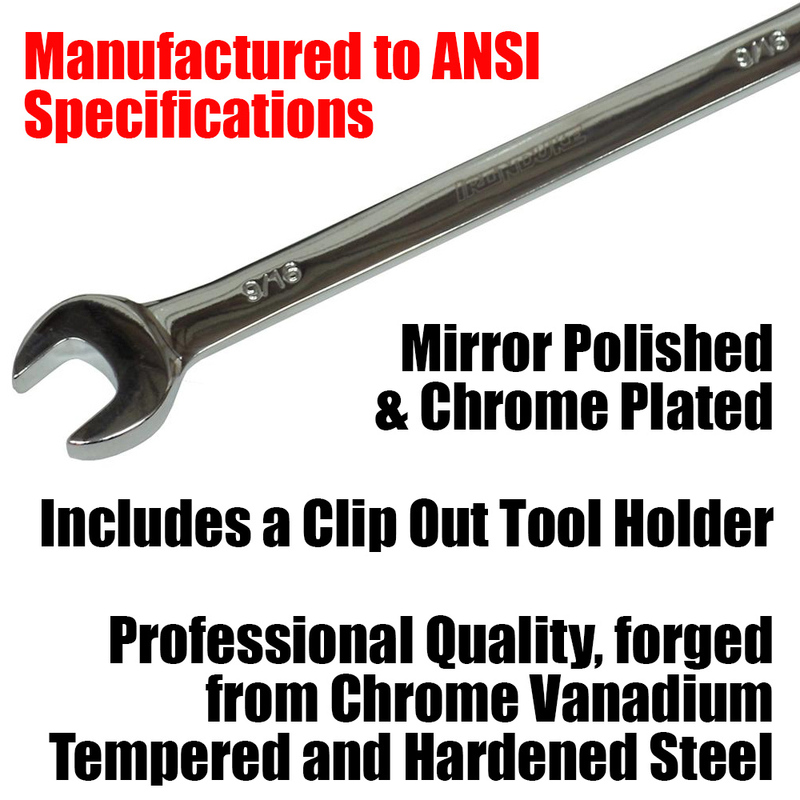 Forged from chrome vanadium tempered and hardened steel. Mirror polished and chrome plated. Includes a clip out tool holder. Imperial measurements with 9 spanners. 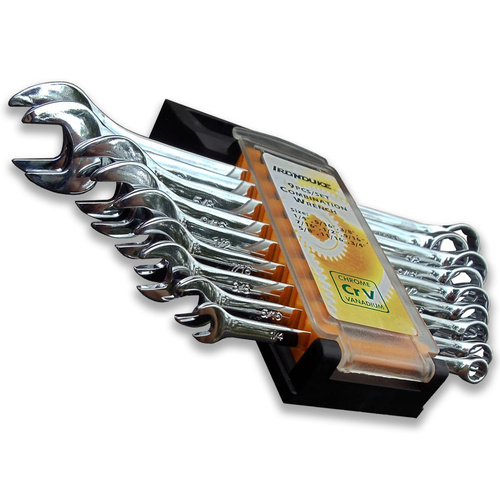 We are excited to be the Australian Distributor for Iron Duke Spanners! Professional quality, forged from chrome vanadium tempered and hardened steel, cromoly box-ratcheting end. Mirror polished & chrome plated for corrosion protection. Only 5 degrees of movement needed to turn fastener in confined spaces. Polished bi-hexagon ring and jaw offset at 15 degrees for the fixed combo spanners. Each set includes a clip out tool holder. 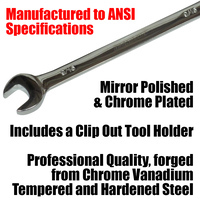 Professional quality, forged from chrome vanadium tempered and hardened steel, cromly box-ratcheting end. We stand behind all our product and offer a 12 MONTH WARRANTY. Warranty does not cover freight to or from our warehouse.